This cheesecake is absolutely divine. 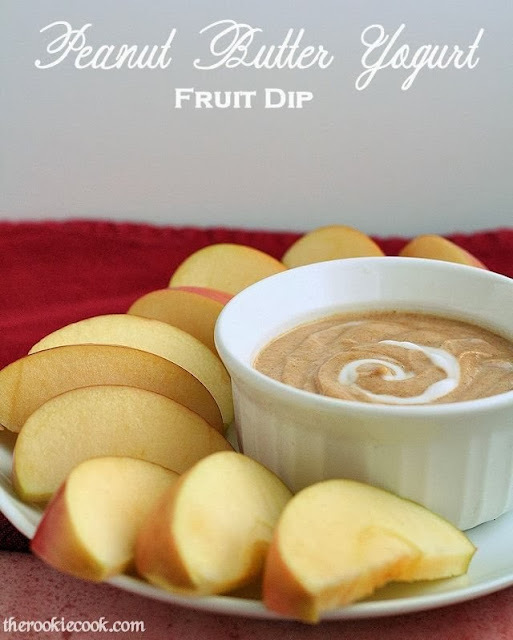 It is perfect to eat anytime but would make a delicious addition to any Thanksgiving meal instead of the traditional pumpkin pie. 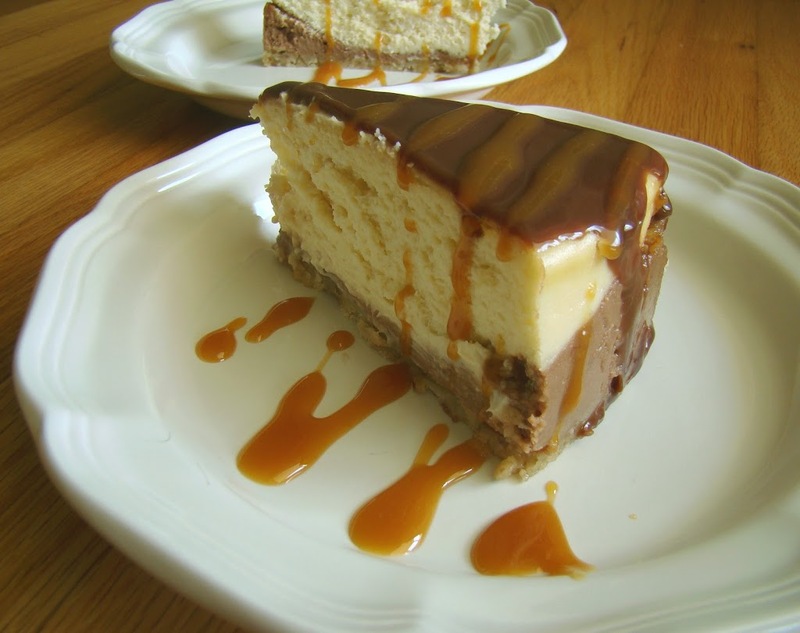 Then again, I may want pumpkin pie and this scrumptious cheesecake. 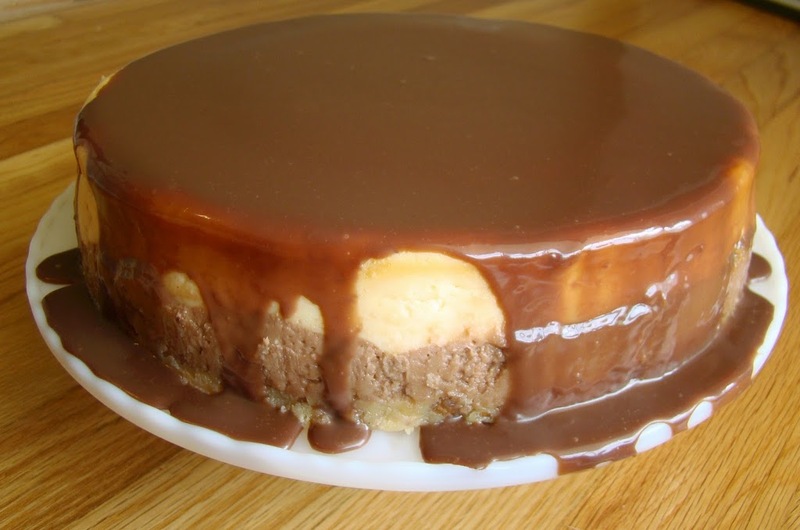 Speaking of the caramel layer, the extra caramel drizzled on the top of each piece is a must. It adds quite a bit of flavor to the cheesecake. I drizzled it to be pretty for the pictures, but after I tasted it, I ended up adding even more caramel. There are quite a few steps if you’ve never made a cheesecake before, so I thought I would add a step-by-step of the process. Wrap 2 layers of foil tightly around a 9 inch springform pan. Make sure there are no spots for anything to seep into the pan. (You’ll see later why the foil is so important.) Grease the pan. Mix together the dry ingredients for the crust and cut in the butter (I usually use a fork) until the mixture is somewhat crumbly. Press crust into bottom of the prepared springform pan. Place pan on a baking sheet and bake at 325° for 12-15 minutes. While the crust is baking, beat cream cheese, sugar, and brown sugar. Beat in 1/4 cup flour, cream, and vanilla extract. Add the eggs, beating on low just until incorporated. 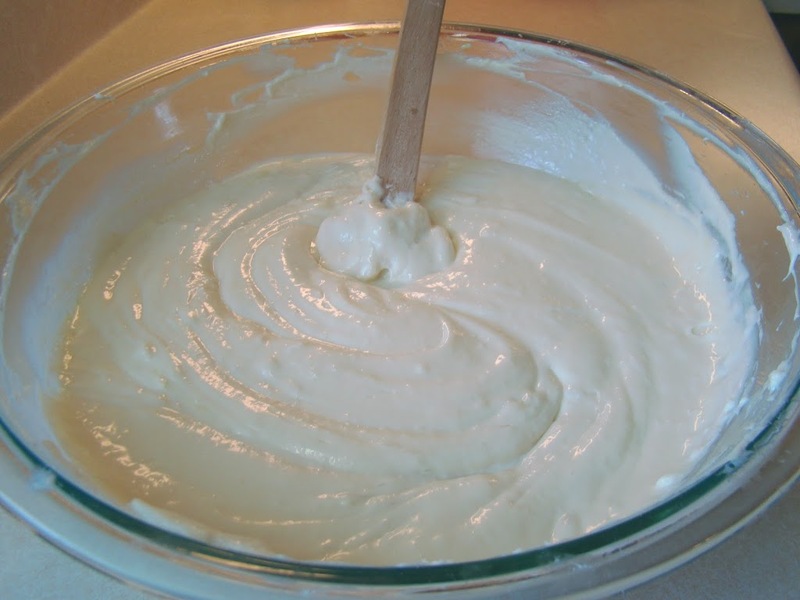 Remove 1 cup of cream cheese mixture to a small bow. Add melted chocolate chips and stir til combined. Pour reserved chocolate mixture over cooled cheesecake crust. 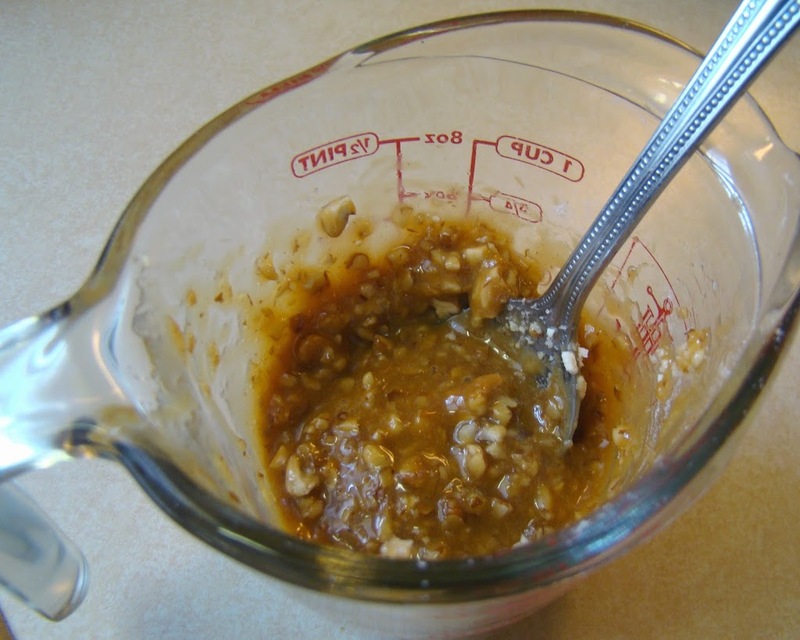 Mix together caramel topping, 1 teaspoon flour, and chopped pecans. Ok, so I know this doesn’t look very appetizing, but I promise that this is the yummy caramel topping! Anyway, drop the caramel topping onto the chocolate layer by spoonfuls. Top with remaining cream cheese mixture. Place on a baking pan and pour about 1 inch of hot water in the bottom of the baking pan. (This is why the foil is so important.) Bake at 325° for 1 hour 15 minutes – 1 hour 30 minutes, or until center is just set and top is dull. 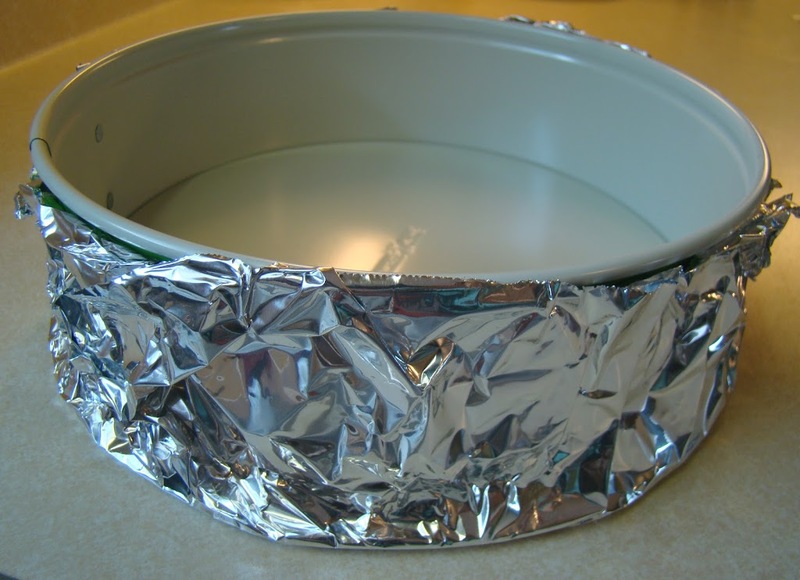 Remove springform pan from water and remove foil. Cool on wire rack. Refrigerate overnight. *As a side note, this cheesecake is slightly overbaked, but at least not to the point of cracking. 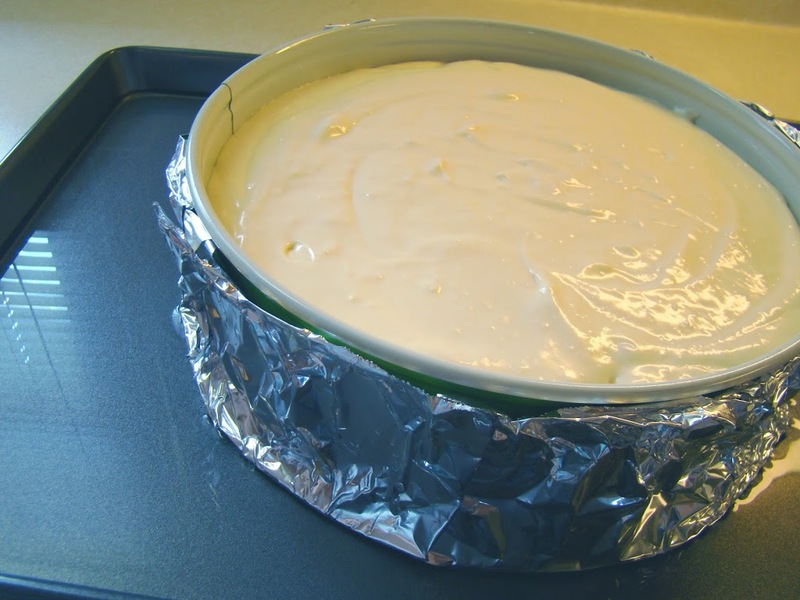 After refrigerating overnight, remove sides from springform pan. Bring heavy cream just to a boil, pour into small bowl of chocolate chips. Stir until chips are melted. Cool and pour over cheesecake. Refrigerate til set. 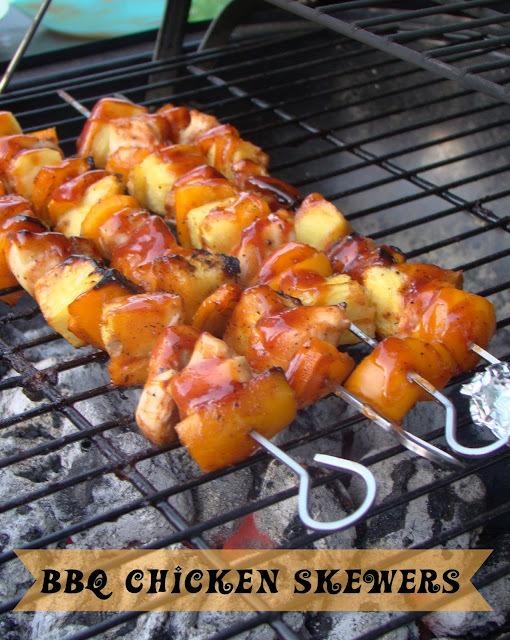 Serve with extra caramel sauce on top. 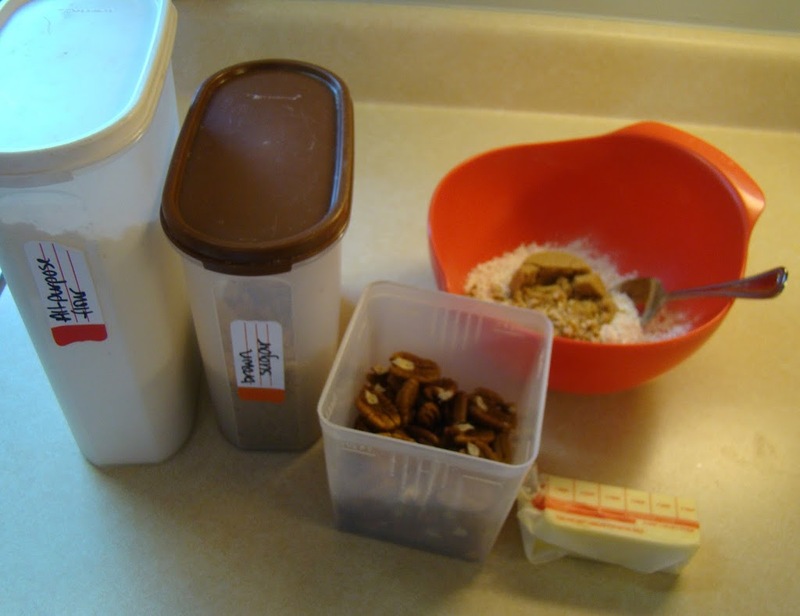 In a small bowl, mix together the flour, brown sugar, and pecans. Cut in the butter until the mixture is somewhat crumbly (I usually use a fork). Press into the bottom of the prepared springform pan. 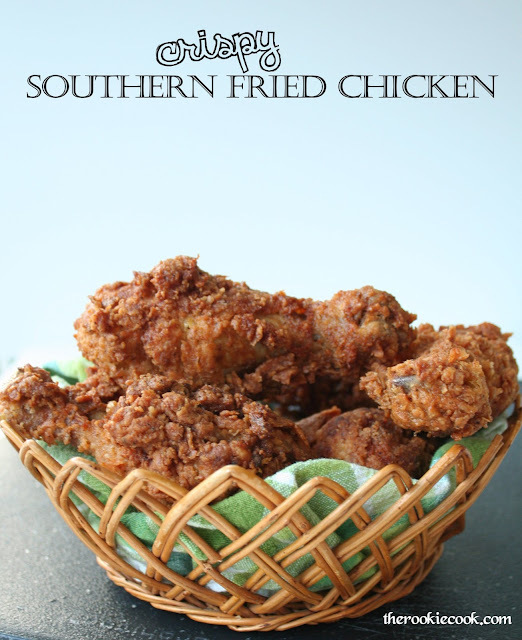 Place pan on a baking sheet and bake in a preheated oven at 325° for 12-15 minutes or until set. Cool on a wire rack. 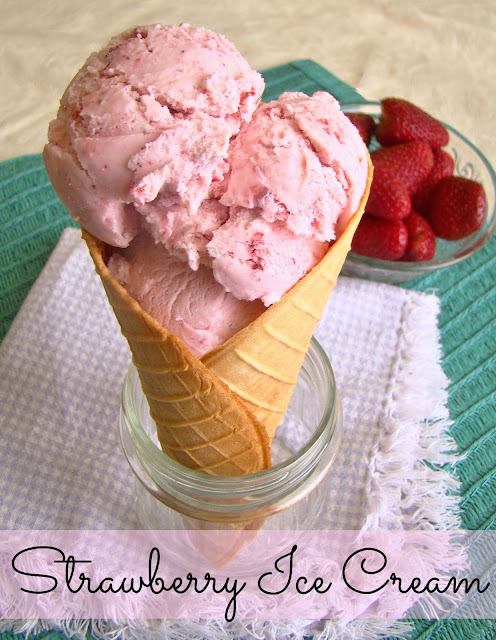 While the crust is baking, beat cream cheese, white sugar, and brown sugar in a large bowl. Beat in 1/4 cup flour, heavy cream, and vanilla extract. Add the eggs, beating on low just until incorporated. 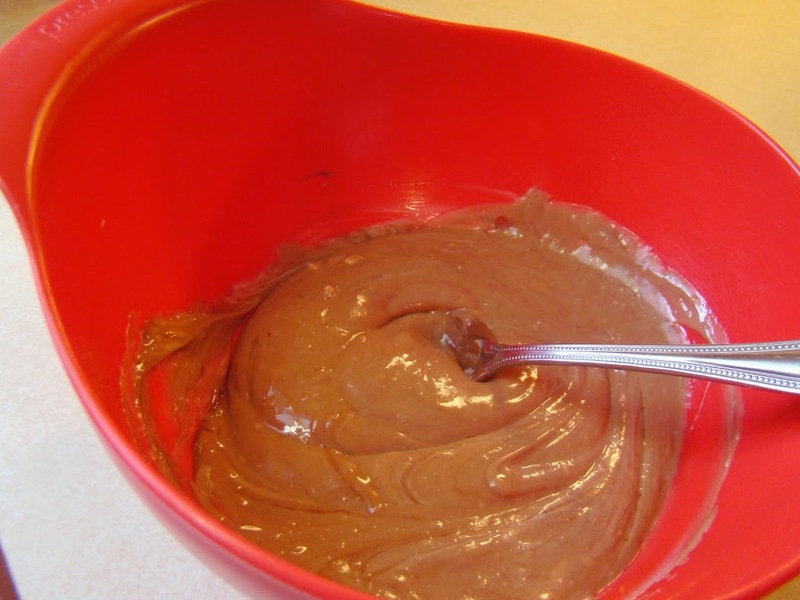 Remove 1 cup of batter to a small bowl. Add in the melted chocolate chips and stir til combined. Pour chocolate batter over cooled crust. 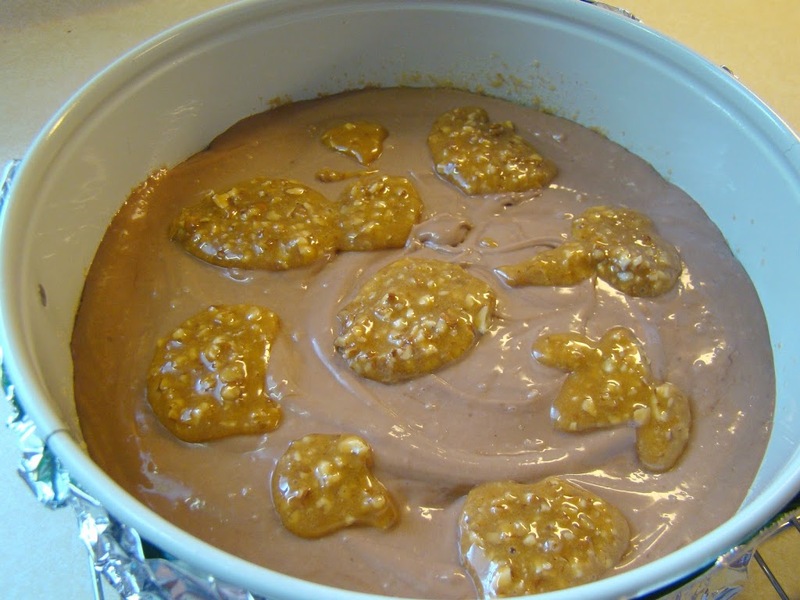 In another small bowl, mix together caramel topping, 1 teaspoon flour, and chopped pecans. Drop the caramel topping onto the chocolate layer by spoonfuls. Top with remaining cream cheese batter. 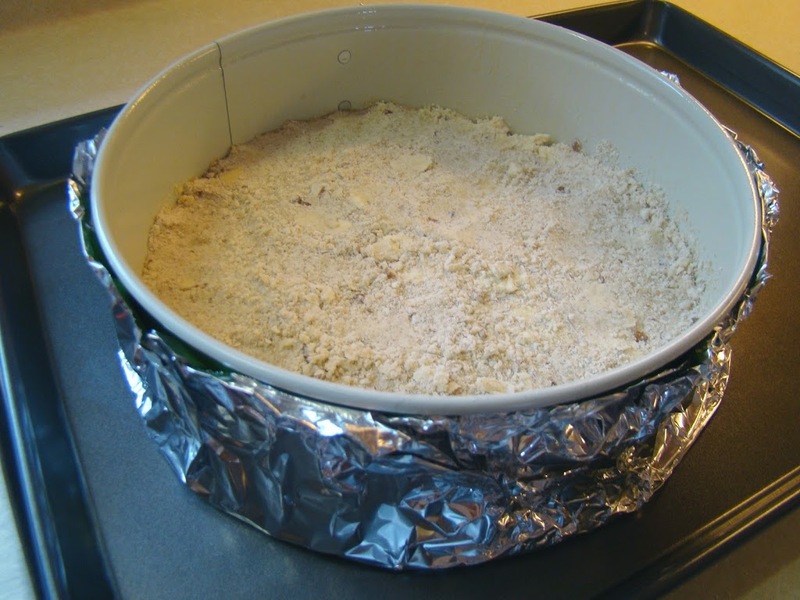 Place springform pan in a baking pan and pour about 1 inch of hot water in the bottom of the baking pan. (This is why the foil is so important.) Bake at 325° for 1 hour 15 minutes – 1 hour 30 minutes, or until center is just set and top is dull. Remove springform pan from water and discard the foil around the pan. Cool on a wire rack for 1 hour. Refrigerate overnight. Remove sides from springform pan after refrigerating overnight. 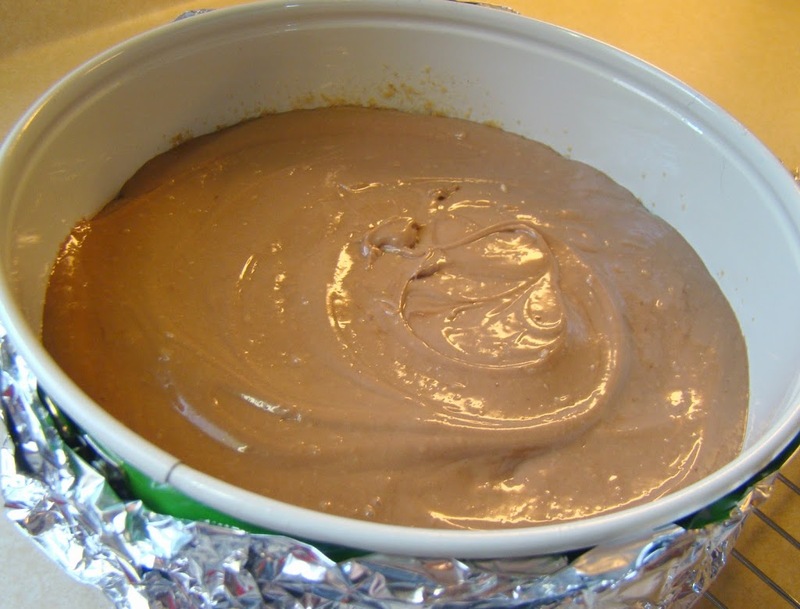 For the ganache: In a small saucepan, bring heavy cream just to a boil. Remove from heat and immediately pour cream over the chocolate chips(in a small bowl). Stir until chips are melted. 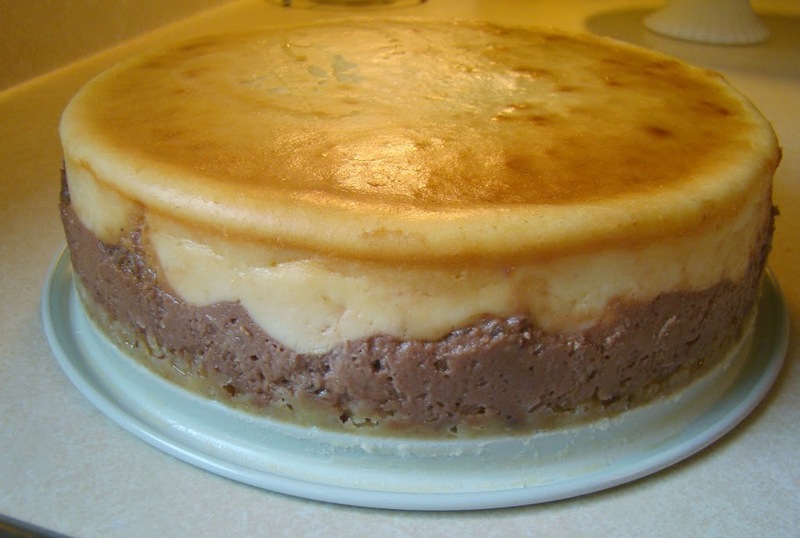 Cool and pour over cheesecake. Refrigerate til set. 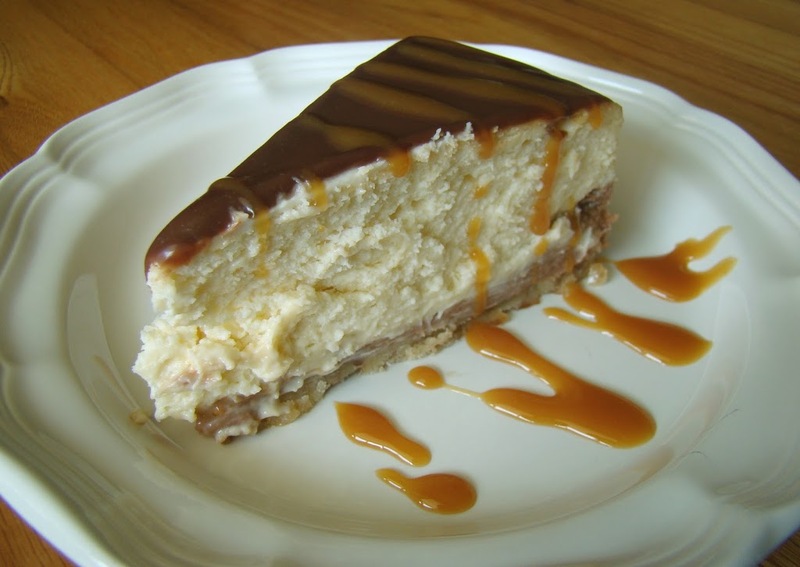 Serve cheesecake with extra caramel sauce on top of each slice.